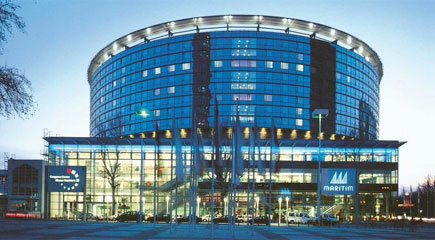 Located in the center of Frankfurt, very close to the trade fair and the Congress Centre, the Maritim hotel invites guests to stay in elegant modern interiors. 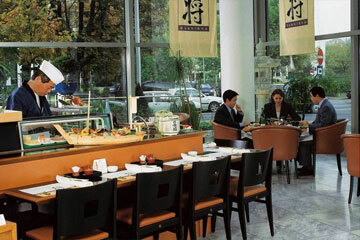 Guests will dine in the most loved sushi restaurant in Franfurt. Front cooking restaurant Ambiente offers rich breakfast buffet with Japanese and Arabic specialities and varied cuisine for lunch prepared at the front cooking stall. The restaurant Classico offers delicious a la carte Mediterranean dishes served in elegant interior. Guests can have delicious snacks throughout the day in the lobby bar. 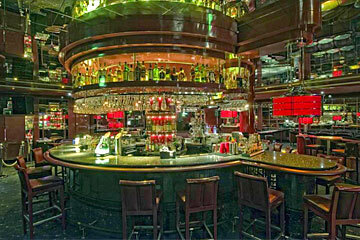 The trendy Life Style Bar offers exotic cocktails and drinks. Guests will enjoy them listening to live music. 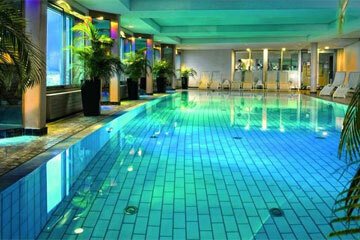 For relaxation there is the Sport Club with swimming pool and many sport and recreation facilities. 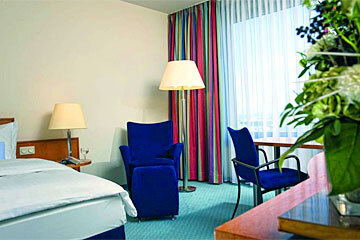 The Maritim Hotel features 543 rooms, including 3 rooms for the disabled. There is also a superior floor with a VIP lounge, snacks and beverages. Junior suites also have a living room, large bath and working area. 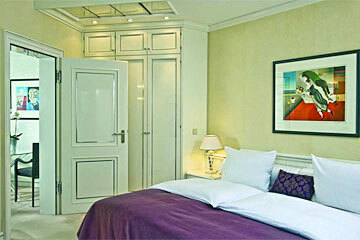 Suites also have an elegant living room, spacious marble bath and guests WC. Exclusive suites also offers working area with meeting table, spacious marble bathroom with corner bathtub, separate shower and guests WC. We accept Visa and American Express credit cards. Weekday prices do not include breakfast. 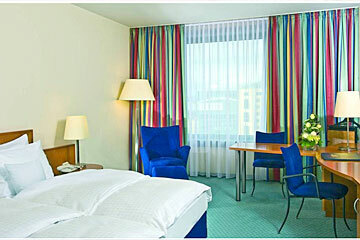 The hotel is located 14 km away from Rhein-Main Airport , 1 km away from City Center, Fairground/Congress Center adjacent and 1 km away from the Train Station.